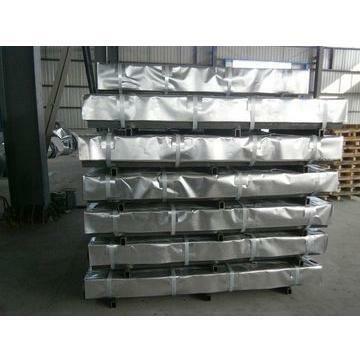 Regular, Minimized or Big spangle Hot dipped galvanized. As per ASTM A653, Zinc Coating G40-G90, JIS G3302 SGCC/SGCD/SGCE/SGCH, EN10147 DX51D+Z/ DX52D+Z/ DX53D+Z. Spangle: regular spangle, minimized spangle, big spangle, zero spangle. Surface treatment:Passivated(chromated), oiled or anti-finger treatment(Acrylic coating). Incepted in the year 2007, at Gurgaon (Haryana, India), we, “Touch Trade Worldwide", believes Trading in steel, and petroleum products is a business of relationship, trust and risks. Even today, it remains up to traders to connect a supplier with the consumer. This makes the game increasingly people oriented rather than just Mill driven. Despite market fluctuations like price, supply and demand levels, it is the producer trader consumer relationship that ensures there is continuous availability of steel raw material & metals at all times. "Touch Trade Worldwide”, are engaged in export/ Import and trading of wide assortment of steel and petroleum products HR-Sheets/Coils, Pipe Lines, Corrugated Sheet, Galvanized, PPGI, Aluzinc. We handle nearly everything in long and flat steel products along with ferro alloys as Silico Manganese, Ferro Silicon, Ferro Manganese, Chrome Ore, Manganese Ore, Stainless steel products as Hot rolled coils, CR coils and sheets along with, Hexagon Bar, Round Bars, Square Bars, Angles, Flats Bars, Petroleum products like Engine Oil, Virgin Base oil, Bitumen, Calcium Based Grease, Paraffin Wax, Slack Wax .In petroleum product range you give us the technical specification, we offer you product. Our sources are well renowned manufactures or the Mill approved distributors, yes we do not compromise for quality. We can accept SGS or any other third party inspection. We can discuss about each quotation in length to give you comfort of right import.